As a photographer, you are constantly looking out for more exposure for your work. The starting point for showcasing your images as a photographer is definitely your own photography portfolio website, but you should not stop there. 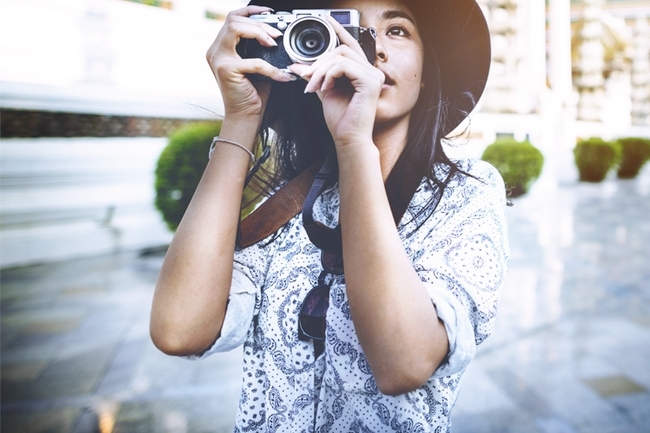 Participating in online photography communities, photography forums, and social media networks is an essential part of a photographer’s marketing toolkit. 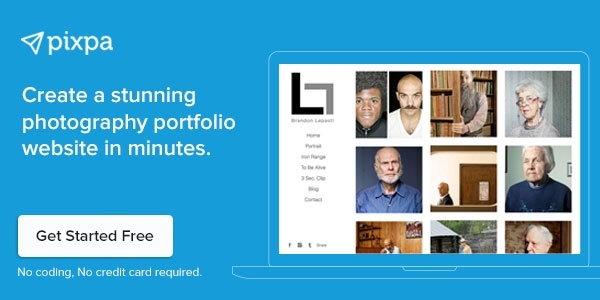 Create your stunning photography portfolio website easily on Pixpa in minutes, without any coding. No credit card required. Start free now. 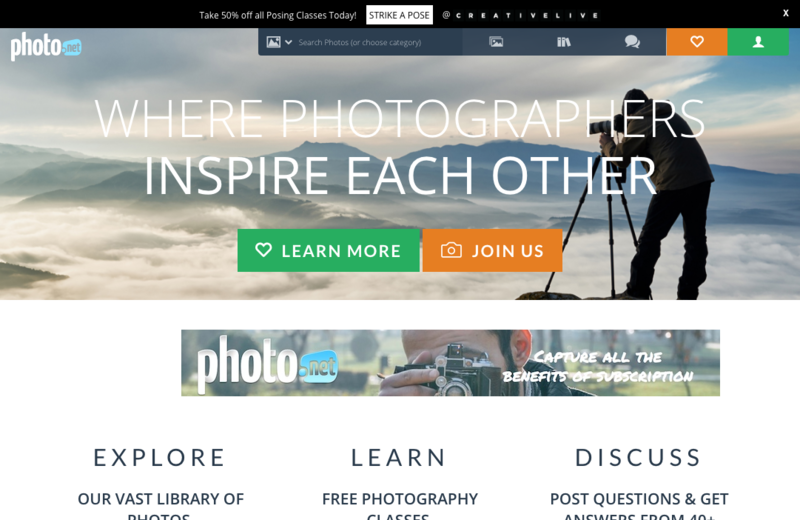 Why should you join an online photography forum or community? 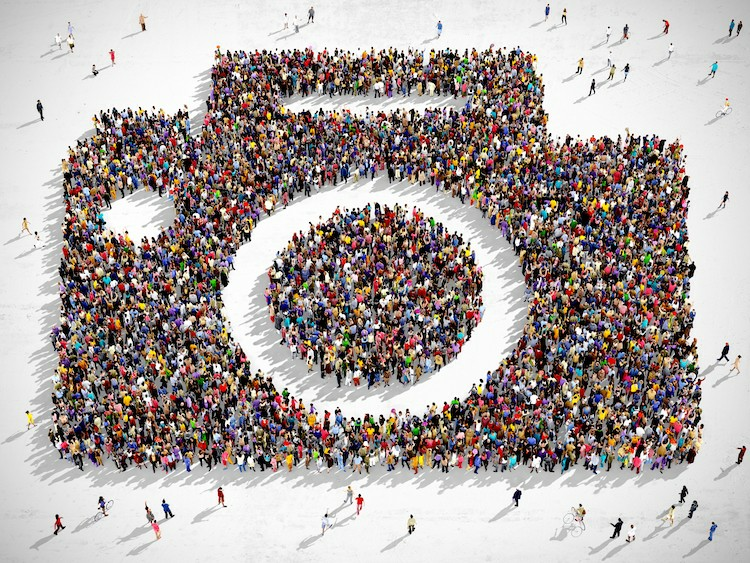 Photo communities are a great place to generate exposure for your work and traffic for your photography website. You would often find collaborators and even clients on many of these photography forums and communities. Sharing your work on an online community for photographers can help you get feedback and constructive criticism that can be of great help in evaluating your work and improving areas where you are lagging. On active communities such as Fstoppers and Reddit etc, there is a lot of discussion on new cameras, lenses etc. You would also find animated discussions on the trends in photography and what the future holds. As you become actively involved in these photography forums and communities, you get a sense of comradeship with fellow photographers. Many of the online communities spill over in the offline space too, with meetups organized frequently. It’s a great way to making friends and interacting with fellow photographers. 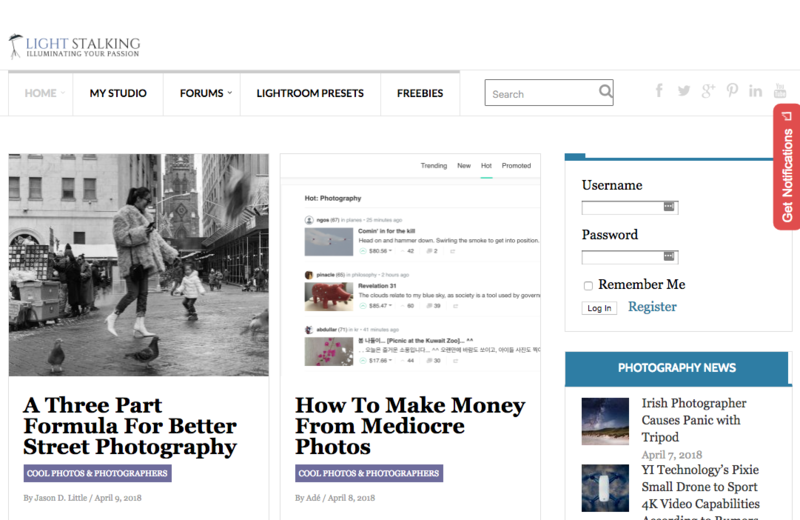 There are lots of photography forums and communities out there. Each one of them has their own distinct focus and tonality. Which community would fit your purpose or personality better can only be answered by diving in and participating. 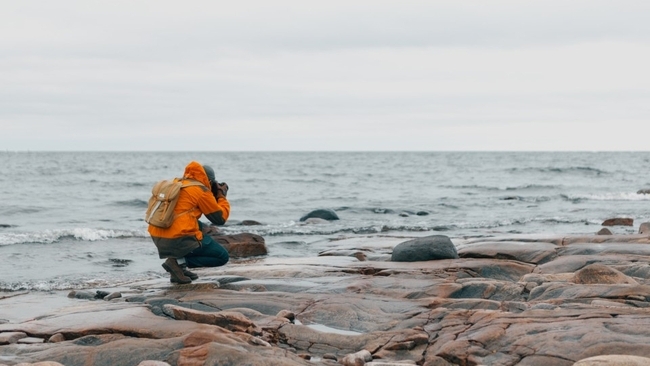 While this guide is not about social platforms, we can’t help but include Instagram here. IG has emerged as the playground for many successful photographers. Photography is one the most popular themes on Instagram with millions of photographers sharing their images using Instagram hashtags for photographers. There are also a number of big hub pages with millions of followers which repost and publish photographs and can bring you tonnes of exposure. Amongst the mélange of communities on Instagram, @Bkstreetart is a favorite haunt of street photographers. With 65,083 followers, it’s been highly successful in stirring up conversations on street art. Another, @bns_sky or Best Nature Shot allows feature, follow and tag options for uploaders. 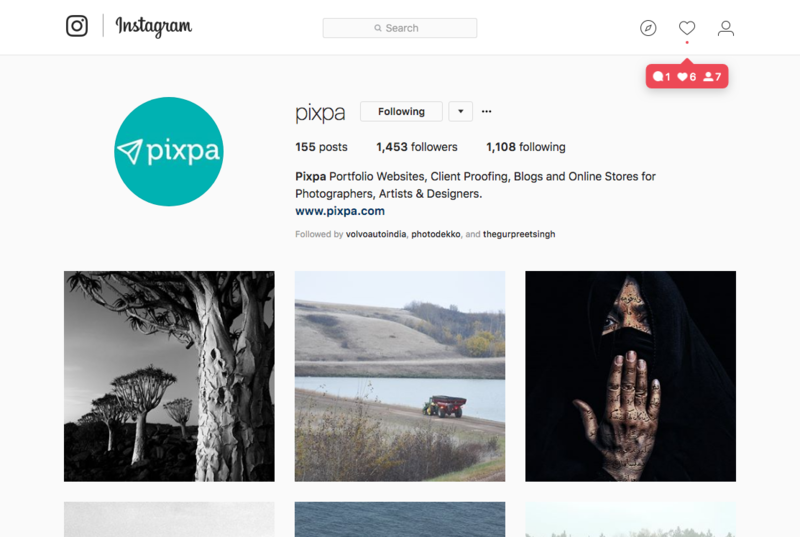 Check out this guide on how to use Instagram for photographers. 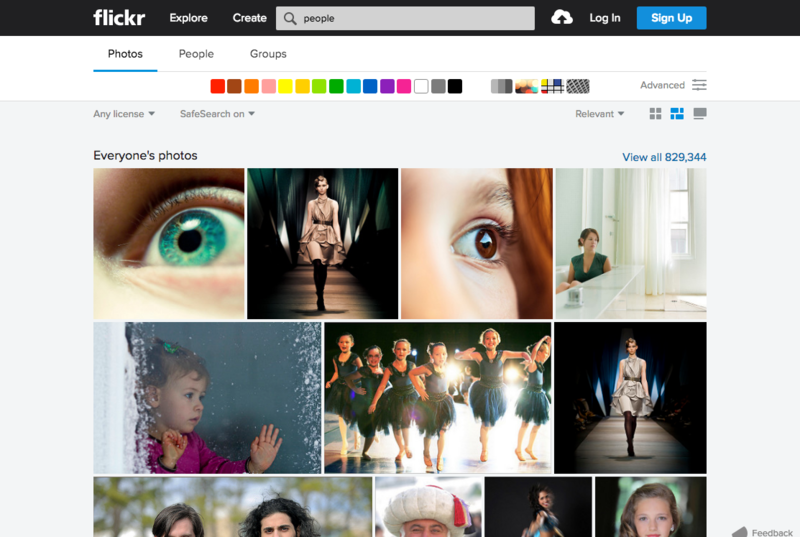 On first glance, Flickr might appear a bit too large for its own good, with a tonne of sub-par action and general discussions going on. However, if you dig deeper, would find a lot of high-quality photography groups and communities still active on Flickr. 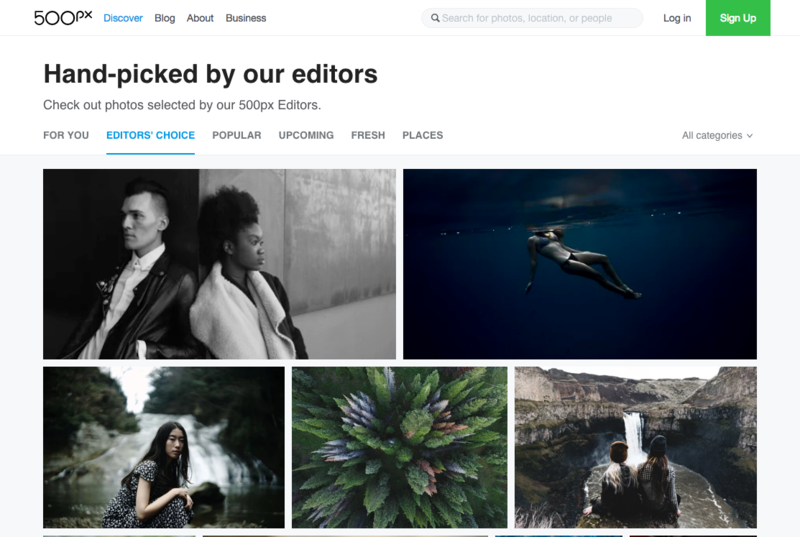 Themes such as street photography, black and white portraits, surreal photography, film photography, people photography, landscapes etc are quite popular on Flickr. The Street Photography Now Community (SPNC) allows images to be added by invitation-only. Into it’s fourth year, the groups works in a very off-beat way! They also have an informational newsletter to which you can subscribe. The invitation-only model ensures the community does not stray into unknown territory and knows who it’ adding as a member. 500pixels is another community extremely popular for photo sharing. Photographers all across the globe are keeping a track of the pulse of each others photographs. If you’re seeking to build great global exposure, this is the site to be. 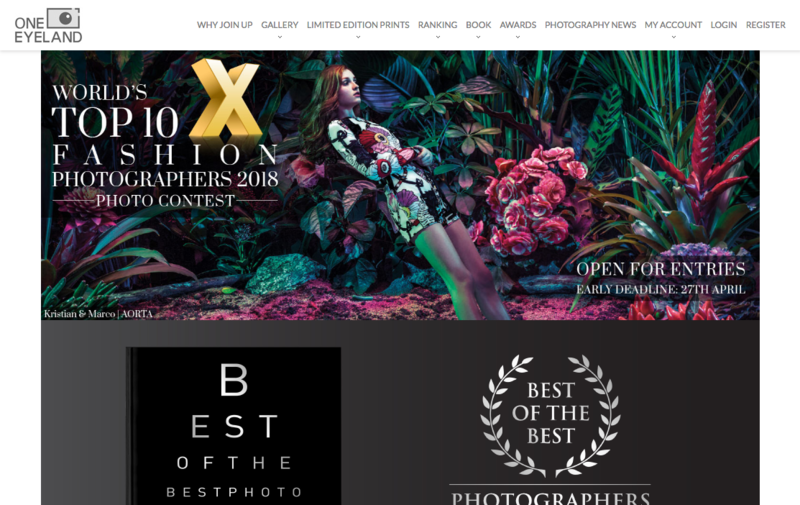 500px community rewards high-quality work and if you are careful about curating the images that you showcase on 500px, you can easily get featured on its homepage and get massive exposure. Reddit is called the home page of the internet for valid reasons. Reddit draws millions of active users every day and its photography sub-reedits are some of the most active photography forums that you would find online. 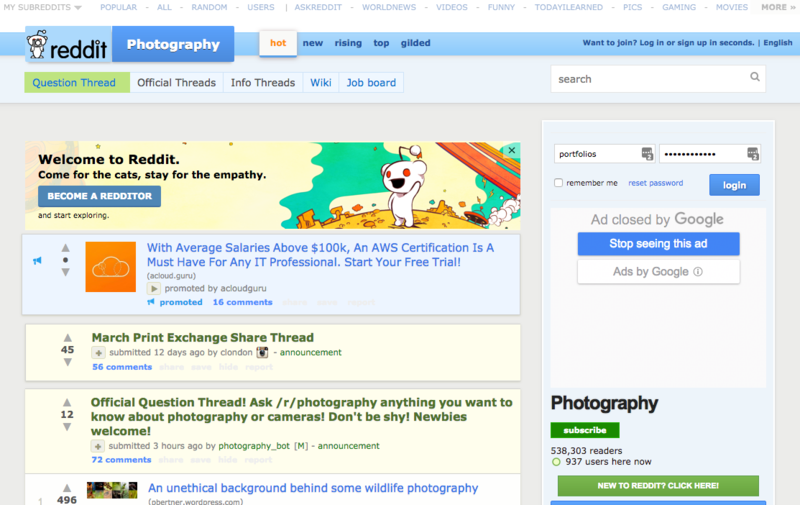 Starting with the /r/photography subreddit which has over 300,000 followers, you can gradually start participating in other niche subreddits based on your interests. Just make sure that you are not aggressive about just marketing yourself and promoting your work. reddit users prefer and appreciate genuine participation and giving, so do comment and contribute to active discussions and build up your Reddit Karma. 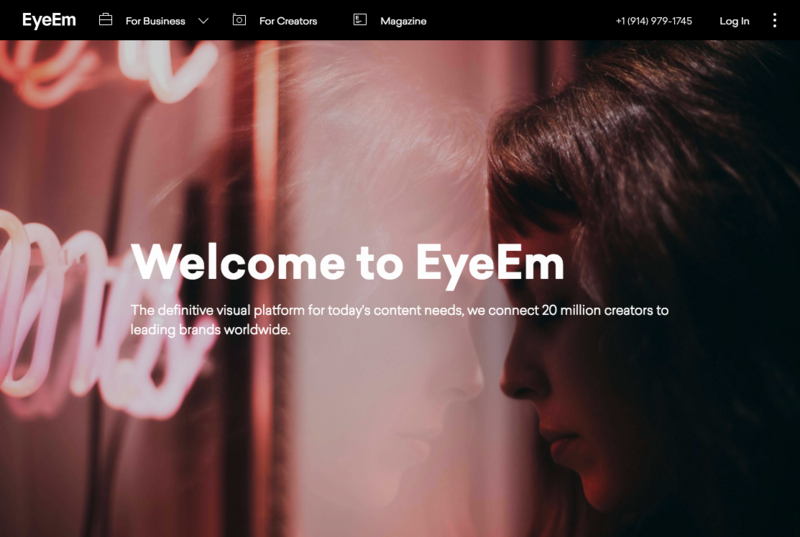 EyeEm as a photography community is quite popular in Asia and Europe and is gaining followers in the US as well. In many ways, EyeEm is like a mix of Instagram and 500Px. EyeEm has one of the nicest designs and enables photographers to share images with tagging and geotagging. EyeEm has a lot of Instagram like filters as well (EyeEm introduced filters came before Instagram!). 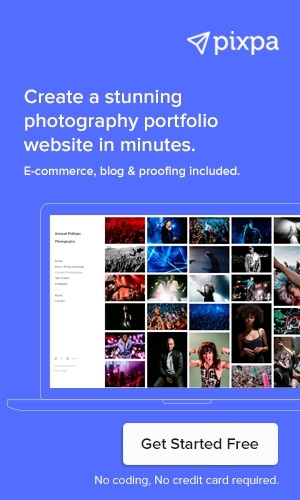 Photographers can now even sell their images on the EyeEm marketplace. 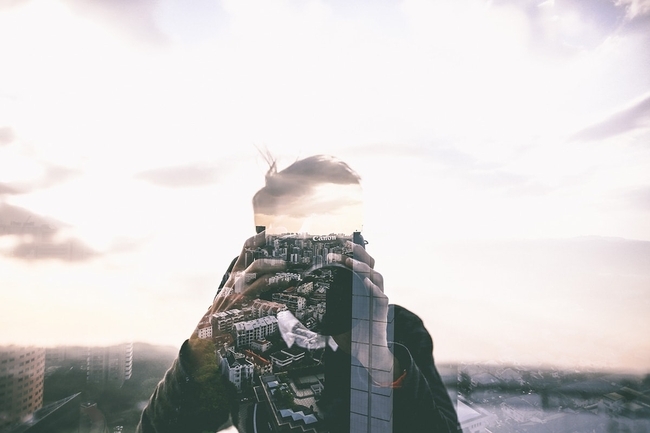 OneEyeland is a super, selective community with top-notch photography content. What makes OneEyeland stand out is that all contributions are manually vetted by expert photographers before becoming public posts. OneEyeland’s features photo galleries by some of the world’s finest photographers and its stringent quality standards shine through the body of work it does approve. DPR has become one the top online resources for everything related to digital photography. Digital Photography Review has tonnes of articles, reviews, how-tos on all aspects of digital photography. If there is one website that you want to refer before you make any purchase of digital cameras or any other photography equipment, you are sure to find detailed product reviews, being guides and user discussion forums on this website. 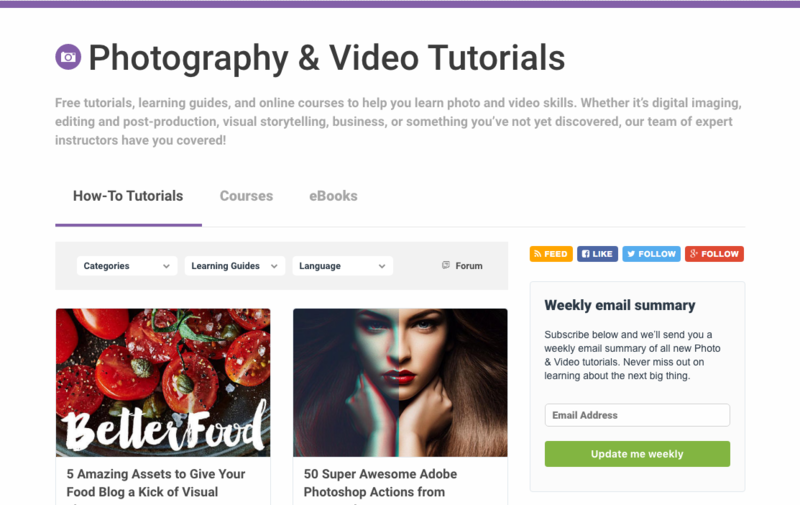 Tuts+ provide valuable tutorials and courses for various niche areas – photography and videography being one of them. Other than their well-fabricated blog, the keynotes of the site are e-books and jobs section. 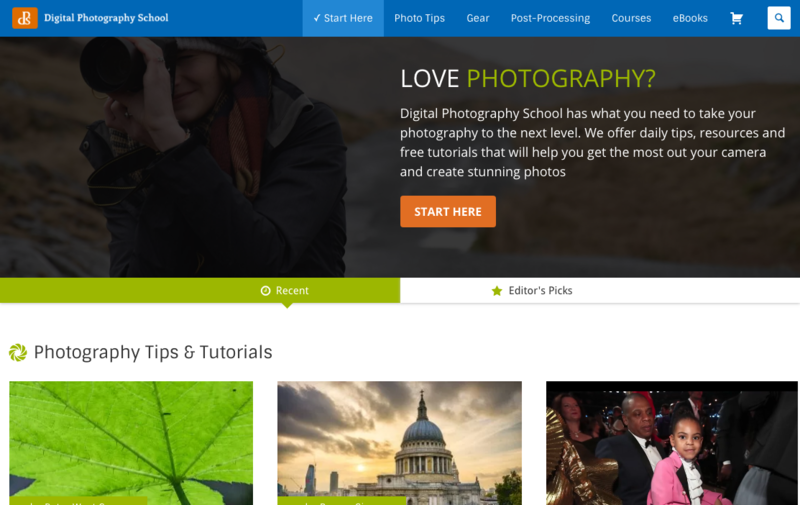 DPS is possibly the top photography learning website for the new age of digital photography. There are a lot of photography tips and tricks, how-to articles, tutorials and guides on all aspects of digital photography and post-processing. 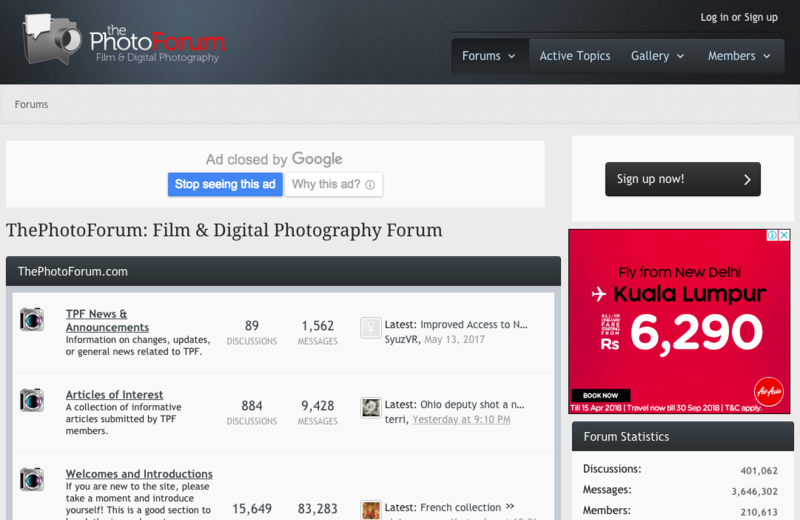 DPS features extremely active photography forums as well. DIY Photography started out in 2016 to focus on providing expert advice and how-to articles written especially on the topic of creating and fixing your own photography gear. 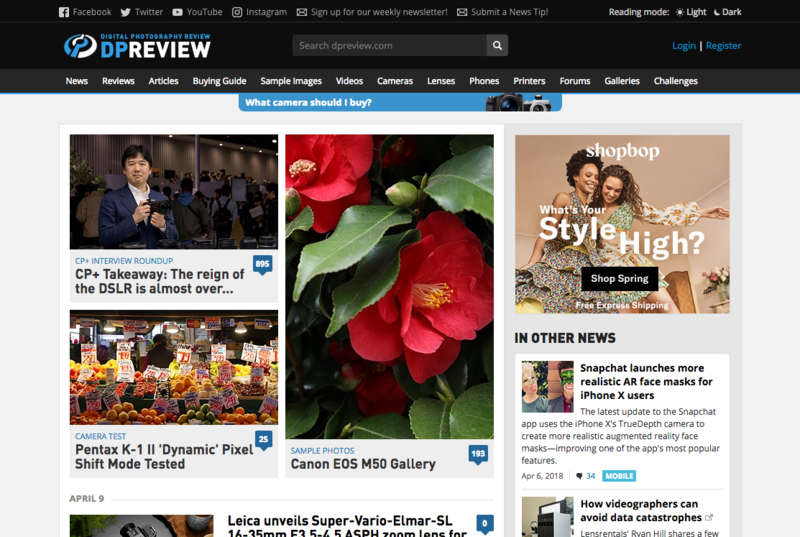 The DIY focus of the website has made it a big hit amongst photographers. 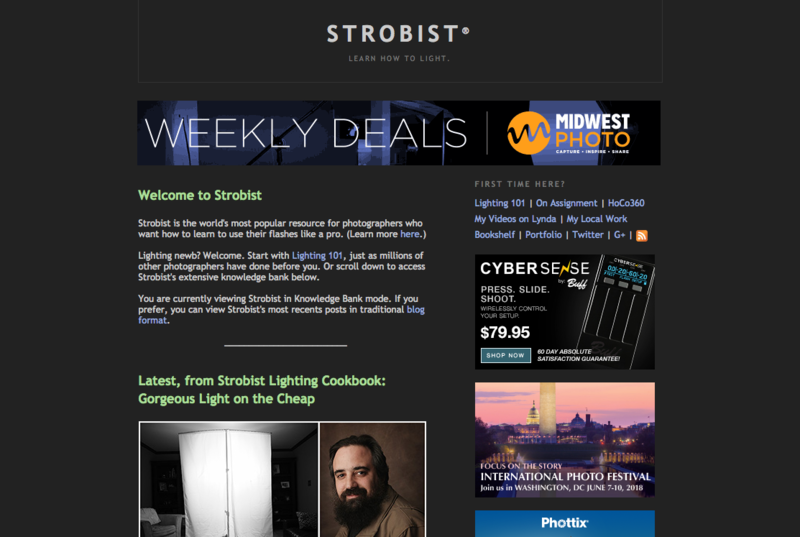 Strobist is an amazing photography resource focussed only on the art and technique of lighting. Specifically, Strobist focuses on using lights and off-camera flash to take your photography to the next level. The free Lighting 101 course is perfect for beginners as it starts from the very basics of lighting and explains everything that you need to know to get up and running with the setting and up and using lighting in your photo shoots. Photo.net is a large community of enthusiast, beginner and pro photographers with a hige repository of content available for photographers. With a lot of articles, online courses for photography and active forums, Photo.net has something for anyone interested in photography. This week in Photo is the place to go for all the latest news, insights and scoops on photography events, gear and cameras. 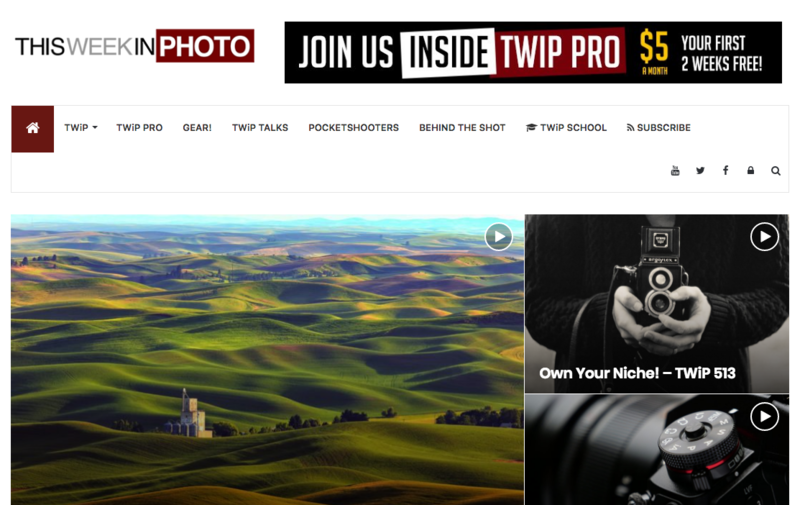 PopPhoto is buzzing with news on photography workshops, contest, and events. 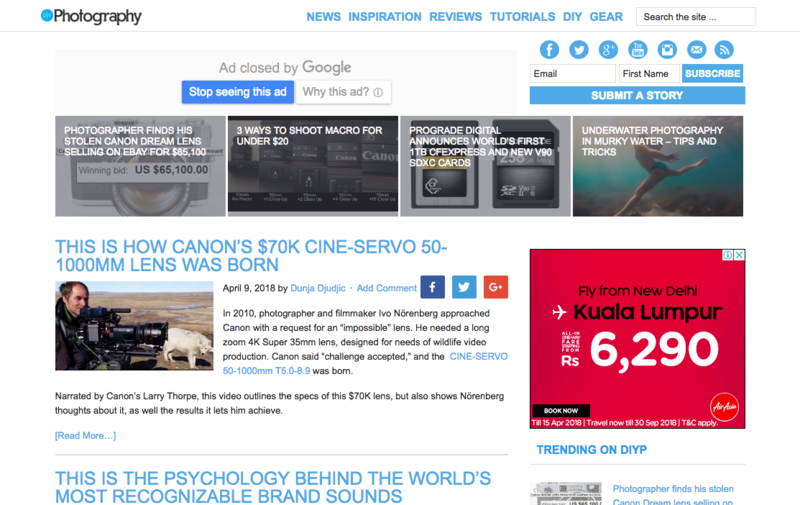 It also has detailed reviews of latest photography gadgets, cameras and lenses tested by photographers. 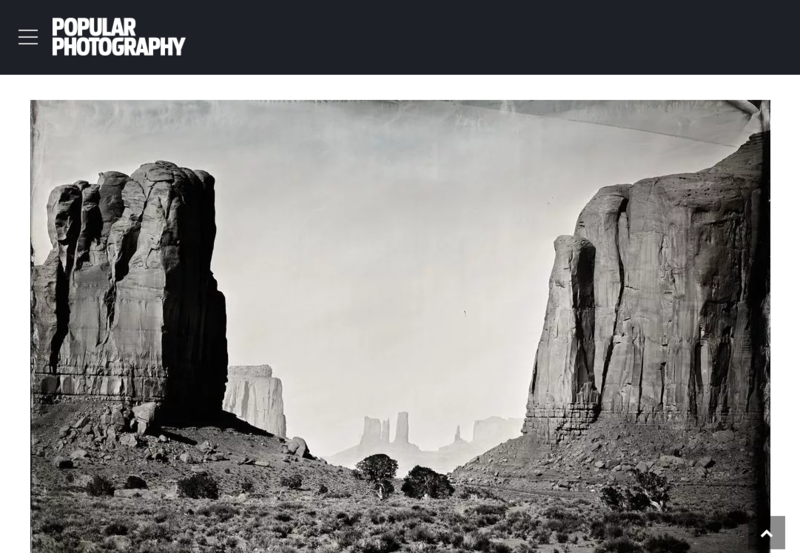 Based on its reviews, it also features a buying guide for photographers where it features recommendations on photography gear that it has tested. 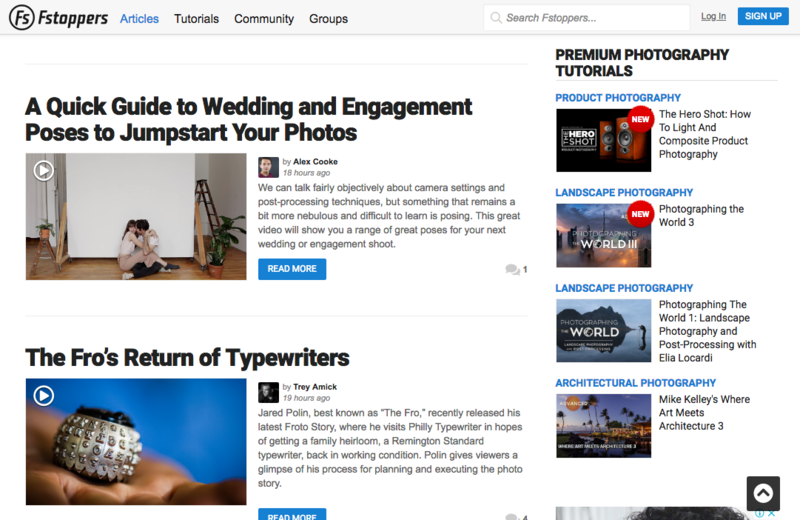 PopPhoto's forum is also pretty active and has a vibrant community posting every day. If you’re struggling to keep yourself updated with the latest contests in competitions, then fret not. 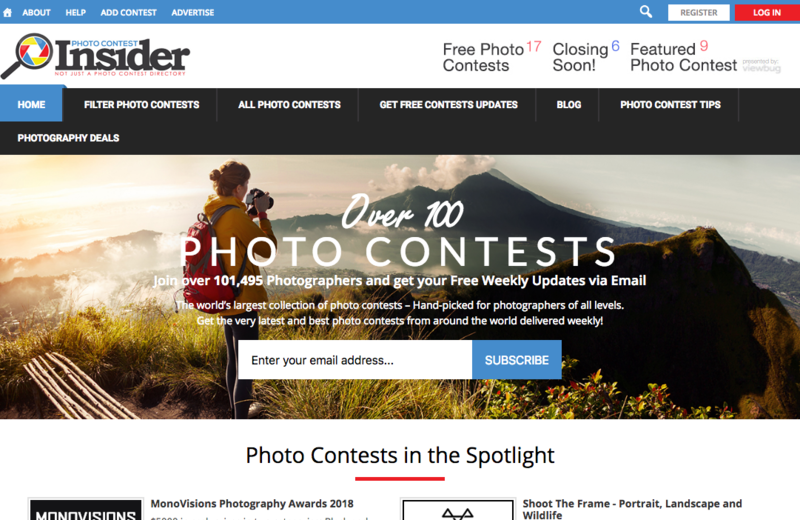 Photo contest insider does the legwork and gives you a comprehensive list of all the photo contests you can participate in. Check out this comprehensive list of photo contests happening in 2018. 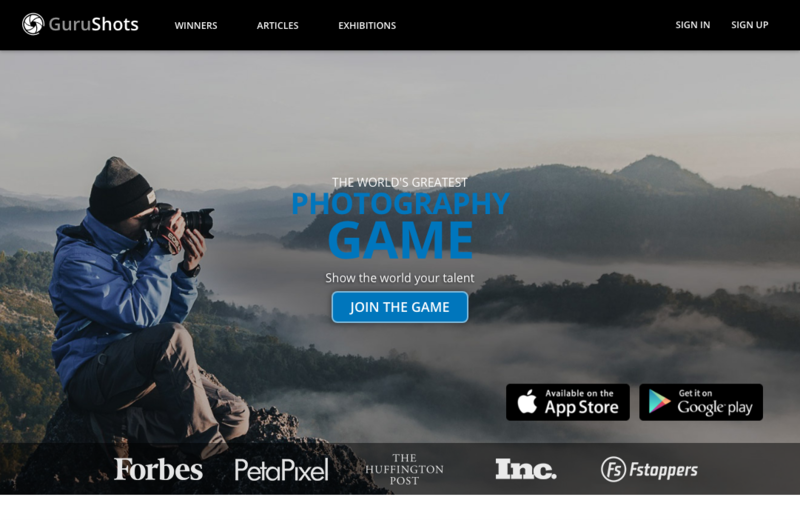 GuruShots is all about photo contests for everyone - from beginners all the way up to pros. GuruShots brings in the community aspects of peer-to-peer reviews in photo contests, wherein the winners are chosen based by the number of votes their images get from their peers (users on Gurushots). Gurushots is great to get feedback on your images - images that get a lot of votes tend to get featured on the home page and contest winners also get a lot of exposure. This community provides the “top resources for photography lighting, gear reviews, business tips, behind the scenes, and industry news”. The community features a ‘picture of the day’ of its clients and enables fellow photographers to actively comment and give feedback. If you thrive on a stimulating discussion about the latest camera equipment, this is the place to catch all the latest buzz! 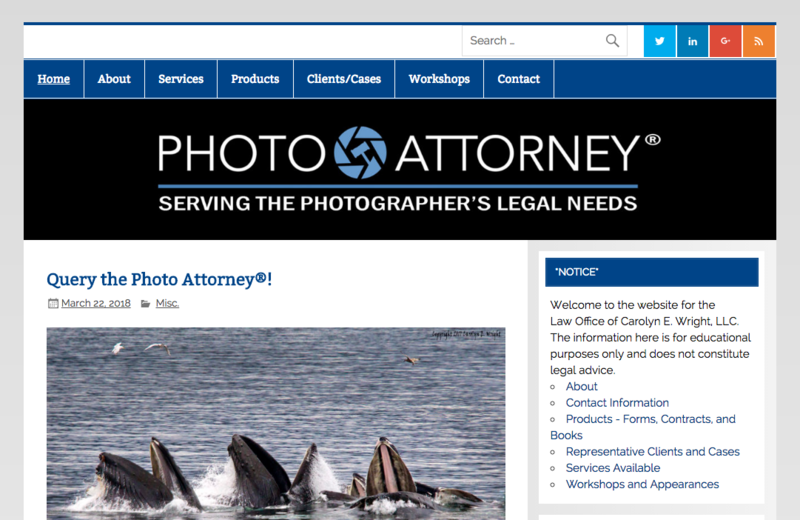 While running a photography business, the redundant legalities that come with it can be daunting. All the worries akin to copyrighting photographs can be put to sleep because of cogent solutions provided by Photo Attorney. With so many photography communities and forums to participate in, you need to quickly find the best 4-5 online photography communities and forums that you want to be actively engaged with and slowly move up the chain and become a valuable, contributing member of those communities. So get going on the photography forums and communities and be a part of ones that make your journey as a professional photographer ever more rewarding and beautiful.